If you have opened many tabs in your browser and all URLs are important as you are doing important work, and suddenly you are facing slow speed of the browser, or a restart of the system occur due to any reason, then you have to close all programs including the browser. This will lead you to close all opened URLs. When on the next system restart, or browser restart, you may forget any URL of a specific web page, this can cause issues or trouble for you, and create hindrance in your work. So what to do in this situation so that when you get back to your browser, you will have a track of all of your URLs of all open tabs in any browser. I have mentioned the solution for your issue, you can easily copy URLs of all open tabs in all browsers. If you are a Chrome user then go with below steps to copy the URLs of all open tabs in it. Open Chrome browser and download TabCopy extension from here. An icon of the TabCopy extension will appear at the top right corner of Chrome window. Now click on its icon to copy the URLs of tabs. It allows you to copy a single URL, all URLs of a window, or all URLs of all windows. The URLs will be copied quickly to the clipboard. So this is a very easy way to copy URLs and reopen those URLs in a time of need. 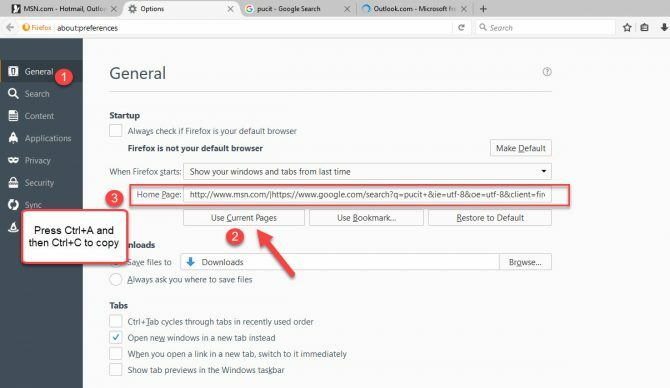 If you are a Firefox user then go with below steps to copy the URLs of all open tabs in your browser. Open Firefox browser and go to three horizontal line menu. Select the “Options” option. Go to the General tab, here you will see a bar of “Home Page” entity. 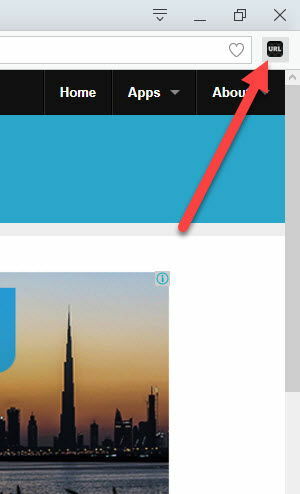 Click on “Use Current Pages” button to bring all URLs to “Home Page” address bar. Then copy those URLs and paste them anywhere you want to. You can copy these URLs to a notepad, notepad++, or any other app which you find convenient to use. 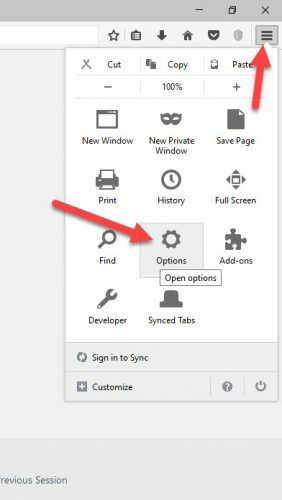 If you are an Opera browser user then go with below steps to copy the URLs of all open tabs in your browser. Open Opera browser and download the extension “Copy URLs” from here. After adding the extension, it will available at the top right corner of the browser’s window. Click on its icon, a new window will open, that show you all open tabs with their URLs. An option is available to copy those URLs. 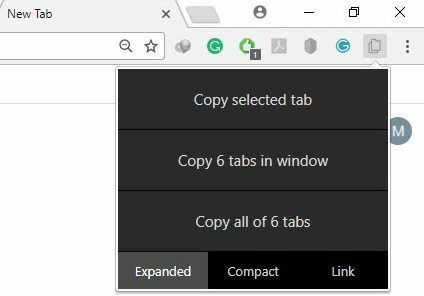 All URLs will be copied to clipboard easily and quickly. If you are an Internet Explorer user then go with below steps to copy the URLs of all open tabs in your browser. Go to the Start Menu and type Internet Options. Open Internet Options window. Go to its General tab, there you will see a “Home Page” section. Click on the button of “Use Current”. 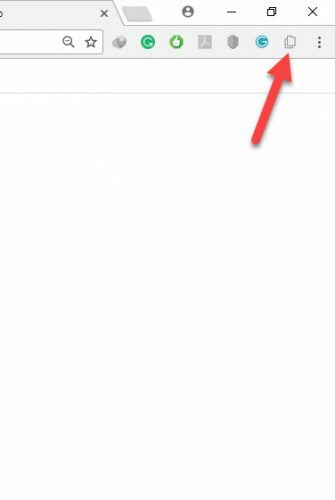 On clicking, all URLs of open tabs will paste at “Home Page” section. Copy those URLs and paste them into any Notepad file. Save that file anywhere you want to. 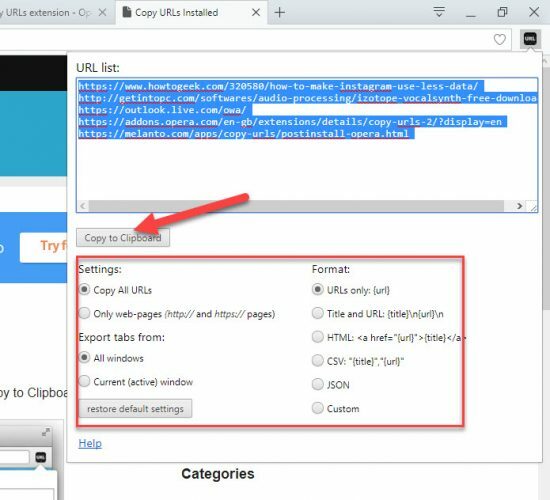 You can easily get any of URL from that Notepad file in time of need. Find the settings for your required browser and have a track of all URLs of open tabs easily, so you can get back any URL in time of need. For me, this is a very handy way because many times I forget the exact URL which I opened just a few minutes back. I can easily keep a record of my recent open URLs in my browser’s window. In Chrome you can do this with no add-on/extension. extensions tend to break from time to time with each Chrome update. 4. shift select the booksmarks, right-click and select click copy (or ctrl+c). 5. Paste them in a text editor. note that notepad will not include line breaks but wordpad/word/notepad ++ will.